ShenzhenMarch 25, 2019: Vivo has announced the partnership with the world’s leading mobile game – Player Unknown’s Battlegrounds Mobile (PUBG MOBILE) by Tencent Games and PUBG Corporation as the title sponsor of the upcoming PUBG MOBILE Club Open 2019, one of the biggest mobile gaming tournaments in the world. 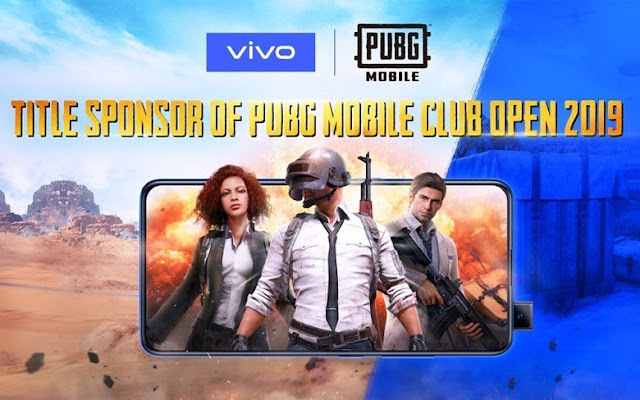 Vivo will provide the official smartphones for the PUBG MOBILE Club Open 2019, which players from ten regions across the globe will be leveraging to battle their way through the Spring and Fall Split, for the total prize pool of $2.5M USD. This global partnership reinforces Vivo’s commitment to bringing an ultra-smooth gaming experience to connect with consumers through meaningful partnerships. This global partnership will unfold and strengthen Vivo’s position in being an innovative and stylish brand that always puts our consumer experience first. The PUBG MOBILE STAR CHALLENGE 2018 was watched by over 230 million viewers and drew in over 5,000 live attendees at the global finals in Dubai. The qualifying round of PUBG MOBILE Club Open 2019 began on March 22, 2019. The Spring Split Global Finals will be hosted in July this year, with the Fall Split Global Finals following in December.